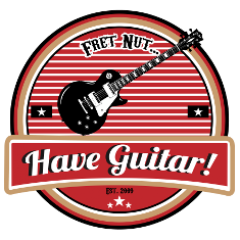 5.7.0.14092 Public Beta Archives - Fret nut... Have Guitar! Finally here – the new reverbs for the Kemper Profiling Amps! What kinda Kemperist would I be if I didn’t make a video of this?! So the old Reverbs goes into a new cathegory called Legacy Reverbs while we in return get some new one: Echo Reverb, Natural Reverb, Easy Reverb, Spring Reverb and Cirrus Reverb. All of them with their own characteristics. There is also one more called “Space” – according to the updated manual: “The Space effect is identical to the global version of Space in the Output Section. It produces the natural reflections of a small, neutral-sounding room.” Just didn’t make much of a difference to the sound in my ears so I decided to leave that out. Thanks for watching Have Guitar – hope you liked it and that you’ll support me by an subscribtion! I heard subscribers of Have Guitar lives a happier life so join in! A gargantuan Thanks to you who do subscribe!! !